In rhetorical criticism, one way to view a text, whether that be a non-fiction or fiction text, is to find the underlying metaphor that constructs the entire piece. In a similar case, poetry can be viewed as a text in which multiple facets of metaphors interweave to display many sides of one view. The intertextuality found among the words, images, sounds, and even metaphors capture an underlying experience as a series of happenings aimed at representing one’s world view. Martin Ott’s Captive does just that by excelling in the skill of capturing simple life moments with unexpected sincerity. Winner of the 2011 de novo poetry prize, Ott insinuates, with collective ease, the nonsequential realities that make up a soldier’s experience by capturing readers into a world full of despair, amusement, and fervency. An underlying theme that can be expelled from Captive is its sense of discovery. The 52 poem collection expresses a similar kind reverie in which the reader learns, along with the speaker, the dichotomy of superficial civility and the brusque reality of internal conflict. Discovery, like other processes of action, fuels wonderment and revelation towards the unknown. This underlying theme leads one to believe that the underlying metaphor in Captive is found in its own construction. The mysteries found in Captive are what drive the speaker and the reader to learn the lessons of the unseen. They may, at first, be unfamiliar, with their diametrical contrasts obscuring truths hidden beneath; however, by framing them with life moments, the reader and speaker learn a language beyond literal meaning; a language which expresses a metaphorical lesson about life and one’s world view. by everyone you wish to impress. lies, could be your way of forgetting. bulb of the inquisitor or candlelit bath. these dangling things are not you. I wonder if she will hate her name. by brick and iron latticework? They’ve forgotten what it is to be. 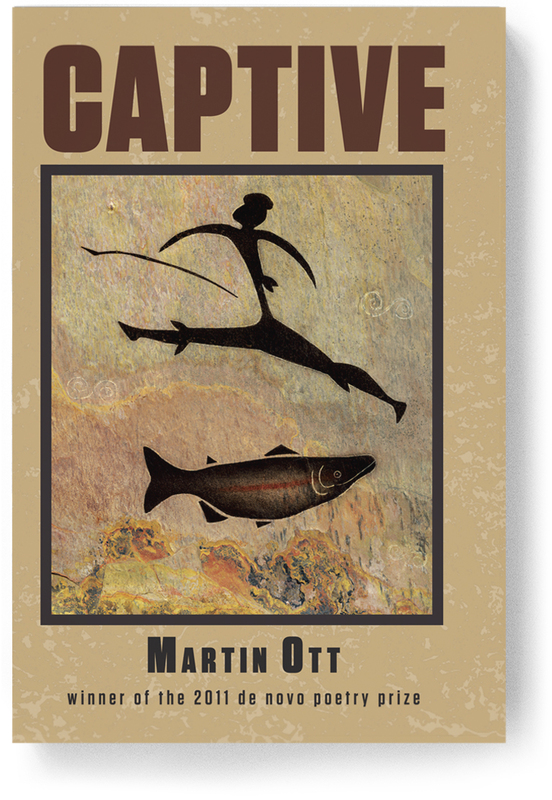 Martin Ott is a former U.S. Ary interrogator who lives in LosAngeles where he writes poetry and fiction, often about his misunderstood city. He was born in Alaska, raised in Michigan, and loves to travel. He is coauthor, with John F. Buckley, of Poets’ Guide to America, a verse travelogue published in 2012 by Brooklyn Arts Press.